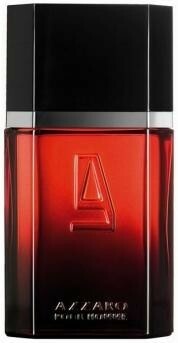 Most reviews of Azzaro Pour Homme Elixir, even positive ones, claim that it is not a true flanker of the original Azzaro Pour Homme because the two smell nothing alike. Even I wrote that a couple of years ago in my scathing review of it. However, the other day I did a little experiment with it that proves this wrong. A couple of days ago, I sprayed a couple of spritzes of Elixir onto a business card and left it on my desk in my office. I left the office for about an hour to get some lunch. When I came back and opened the door, I was greeted with a blast of what smelled like the original Azzaro Pour Homme, only a little bit sweeter. The connection between Elixir and the original was blatantly clear. This goes to show that when you wear a fragrance, your own perception may be a lot different from those who walk by you. The scent that projected off that business card smelled quite a bit different than what I smell when I wear Azzaro Pour Homme Elixir; when I wear it, the nutty sweetness is mainly what I detect, and my brain doesn't pick up all the other aromatic similarities it has with its father, Azzaro Pour Homme. So this is a long-winded way of saying that Azzaro Pour Homme Elixir is a bonafide flanker of Azzaro Pour Homme. It's one of my favs. I generally go for traditional citrus-patchouli-musk combos. But I like this quite a bit. I need to try APH. Oh, you have to try Azzaro Pour Homme. Otherwise, you're missing out on what I consider to be the best masculine fragrance ever made. It's on my To Buy list. . .